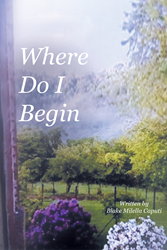 Recent release “Where Do I Begin” from Page Publishing author Blake Milella Caputi is both enlightening and entertaining; this work is a memoir filled with dreams, reminiscences and stories. Blake Milella Caputi, a mother, wife, farmer, animal lover, devoted writer and author, has completed her first book “Where Do I Begin”: a gripping and potent tale that is a tribute to the author’s late father. Published by New York City-based Page Publishing, Blake Milella Caputi’s poignant tale is a heartfelt memoir in which the author looks back fondly on her life and all it had and still has to offer. “I started writing this book two weeks before the tenth anniversary of my father’s passing. I wonder where the time has gone, and missing him has not gotten easier. Many times, I drift back to my younger years on the farm; how I miss those carefree days. Days when mom or dad were there to help me when I felt my whole world was falling apart—a look, a touch, or words that made everything right. Then I had to grow up, start my life on my own, and before I realized it, years had passed. As the parents grow older, shock comes in the form of loss when one of them passes on. Realization sets in of how precious life can be and a self-analysis begins! I have always wanted to write and started many times, but it always fell to the wayside. After analyzing my childhood dreams and realizing the shortness of life, I cannot wait any longer. This longing welling inside me has given me the desire to write this book. Therefore, here goes,” said author Blake Milella Caputi. Readers who wish to experience this mesmerizing work can purchase “Where Do I Begin” at bookstores everywhere, or online at the Apple iTunes store, Amazon, Google Play or Barnes and Noble.